Title: 11/05/1996 - The NACOSH report regarding hazard communication. Thank you for your letter of September 20, regarding the report of the National Advisory Committee on Occupational Safety and Health (NACOSH) to the Occupational Safety and Health Administration (OSHA) on hazard communication. Copies of your comments and those of the other organizations or individuals who submitted them were provided by OSHA to the NACOSH work group for their consideration on May 29. Your particular suggestion regarding the system used to protect transportation workers and emergency responders was highlighted in OSHA's transmittal of the comments to the work group. See pages 86 to 90 for the NACOSH discussion of your suggestion that the system used by the Department of Transportation (DOT) be a model for Hazard Communication. Specifically, in your comment letter of May 3, 1996, you stated "We at Western Extralite Company believe the DOT HAZMAT Program should be considered as an alternative to the MSDS Forwarding Process." There were members of the work group who are experts on the DOT system as well as the OSHA approach. They therefore were able to accurately describe the requirements of DOT in the report, as well as draw distinctions in the purpose and implementation of the two systems, and the appropriateness of applying similar requirements in either situation. Based on their expertise and experience in these areas, the work group concluded that the systems are not comparable in purpose, and that the DOT system does not provide an adequate model to address workplace situations covered by OSHA. Thus, the final NACOSH report states: "In the final analysis, both the OSHA and DOT systems are useful in their respective spheres. ...[N]either system could replace the other at this time." Based on the discussions in the meetings, as well as the lengthy discussion in the final report, OSHA believes that your suggestion was considered thoroughly by NACOSH, and that they concluded that they did not agree that it was appropriate to change Hazard Communication to model it on the DOT approach. In addition to this specific consideration of your suggestions, NACOSH also addressed the general suggestion of establishing an MSDS repository which was put forth by other commenters (see pages 58 to 61). This is an idea that has circulated for a number of years, and OSHA previously contracted for a feasibility study on the proposal. As a result of that study, OSHA determined that it would not be appropriate for the Agency to undertake establishing such a repository itself. Furthermore, other private sector parties have investigated the possibility, and have not been able to successfully undertake such a project either. While it may be technically feasible to have such a system, there are many issues regarding the utility and comprehensibility of the information in the usual electronic form liability questions, and other aspects that are problematic. OSHA believes the NACOSH report demonstrates the complexity of the issues involved with implementation of Hazard Communication, and the difficulty of finding solutions that satisfy all the the different perspectives on the standard. We appreciate your interest in this important standard. Enclosed is a copy of our review of the Report Of The Hazard Communication Workgroup To The National Advisory Committee On Occupational Safety And Health (NACOSH) that we have sent to NACOSH members and Workgroup Participants listed in Appendix "A" of the Report. We did not see where our May 3, 1996 "Comments" submitted to the Docket Office, Docket Number ICR 96-2, U.S. Department of Labor, and endorsed by the trade groups on Page 3 of the enclosure, are mentioned in the Report and, thus, given consideration. We have been requesting reform of the MSDS Forwarding Process as it affects distributors since the late 1980s. Enhanced worker-safety and paperwork reduction will be the benefits. Your help to bring about this change is urgently needed and will be much appreciated by all in ths chain of commerce, and that definitely includes the workforce, whose safety is a prime responsibility of the Department of Labor. P. S. Please contact me if you or members of your staff wish to discuss this further or have questions. Our review of the Report does not find where any alternatives to the MSDS Forwarding Requirements for Wholesaler/ Distributors, as stated in 29 CFR, Part 1910.1200(b) and (g)(7)(i), July 1, 1995 Revision, are addressed. Page 90 of the Report states: "that the DOT System is very efficient for emergencies. However, it would not be appropriate for a program such as the HCS mandate to provide information to workers about hazardous chemicals in the workplaces". Our referring to the DOT System in our "Comments" is to cite a working example of relevant labelling and the feasibility of a central repository. Our reference was intended to illustrate a viable alternative. We understand that the DOT HAZMAT Program addresses situations different from those for which OSHA requires MSDSs. We did not see where alternatives are addressed. The manufacturers of OSHA hazardous Products place a code number/I.D. (which may be an International UPC Code), and a 24-hour emergency phone number on the label, as is done now under the DOT System. The manufacturers submit the MSDS to the central repository. As a distributor for OSHA hazardous Products, we will show in addition to the manufacturer's part number and description, the code number/I.D. and the 24-hour emergency number on both the customer's "packing slip" as well as on the invoice mailed to the "employer". 1. The proposed procedure makes electronic access, including telephone, at any and all work sites easily available and feasible. 2. The employer-customer is made aware of OSHA Hazardous Products being used by his/her company, not only at the time of first purchase, but every time it is purchased. 3. The worker, who may pick-up the OSHA hazardous Product at a distributor's salescounter, take it directly to jobsite and use it, is able to receive specific safe-use instructions and/or emergency treatment assistance before notice of this purchase reaches the employer. 4. Incidental/intermittent use of OSHA hazardous Products is typical of the construction industry and maintenance/repair operation (MRO) workers, as well as those in many other industries. The code and emergency telephone numbers will serve as a reminder that the product is OSHA Hazardous. 5. The "consumer" customer presently exempt from HCS Notice has the same protection as above. 6. When the MSDS is changed for any reason, the product is given a new code I.D. number. Again, it will be on the distributor's "packing slip" and invoice. Thus, the user does not have to be concerned whether the product at-hand is covered by the "old" or "new" MSDS. 7. 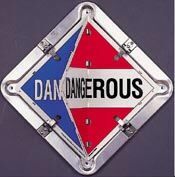 The Report mentions MSDSs being distributed for products that are not OSHA Hazardous. These products would not need a code I.D. and emergency telephone number, thus, eliminating paperwork for jobsites where hard-copy MSDSs are kept. 8. The paperwork reduction for wholesaler-distributors will be significant. As included with our May 3, 1996 "Comments" to the Docket Office, Docket No. ICR-96-2, U.S. Department of Labor, yearly cost to Western Extralite Company for MSDS forwarding compliance as of March, 1995 was in excess of $15,000.00 a year. At present, this cost is over $16,000.00. Appendix D of the Report summarizes presentations and comments from the public. On pages 6, 7, and 8, a number of presenters from a diverse group of organizations proposed what appeared to be very similar changes, as advocated above, for simplifying the forwarding process. To summarize, the benefits of the proposed program are IMPROVED WORKER-SAFETY, BETTER FIRST-AID IN CASE OF SERIOUS ACCIDENTS, and REDUCED PAPERWORK SOFT-COSTS IN THE CHAIN OF COMMERCE. OSHA personnel, freed from focusing on paperwork compliance, would be able to concentrate more effort on working with employees and their employers in developing and implementing truly helpful safe-work practices in the field. FOR ALL THE ABOVE REASONS, WE URGE PROMPT ADOPTION OF THE FORWARDING PROCESS PROPOSAL. Prepared by Ernest Isenberg, Retired President.